It was tough to decide on just 5 comics this week, but somehow I managed. The first one was, of course, a no-brainer. Let's hop right in! 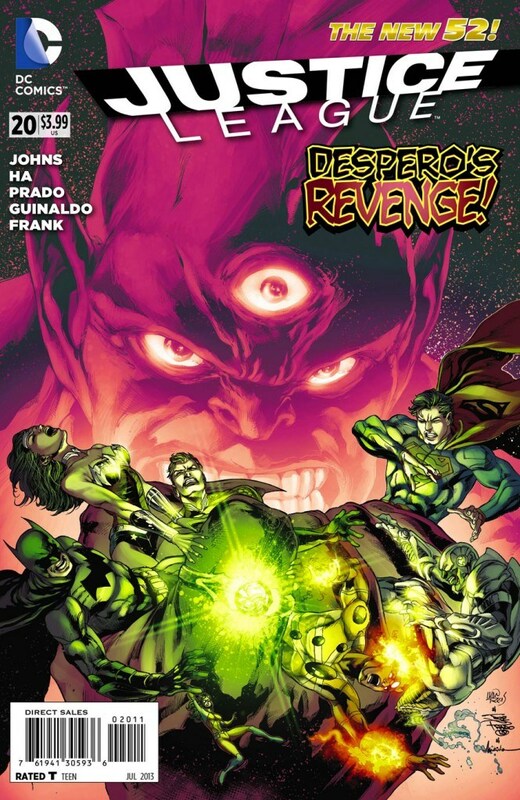 Green Lantern #20 - "In brightest day, in blackest night..."
October of 2004! Now, almost 9 years and over 100 comic books later, he is finally finishing his multiverse spanning epic! 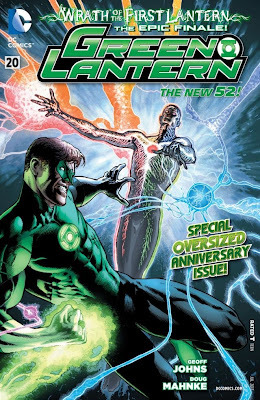 The giant-sized Green Lantern #20 wraps up not just the "Wrath of the First Lantern" plot, but is also Mr. Johns final issue! I'm not going to say a word about this comic except that I thought it was great and encourage everyone to pick it up, even with the $7.99 cover price. It's the end of a huge, amazing tale and well worth every penny. After reading this final issue, I'm more of a Green Lantern and Geoff Johns fan than ever before...it actually made me want to go out and pick up all the trade paperbacks and read the whole story over again from beginning to end! Like a kid at the end of a fun ride, I smile and exclaim "Lets do it AGAIN!" Great comic! Of course there's another 4 (regular-sized) comics too...after the JUMP! 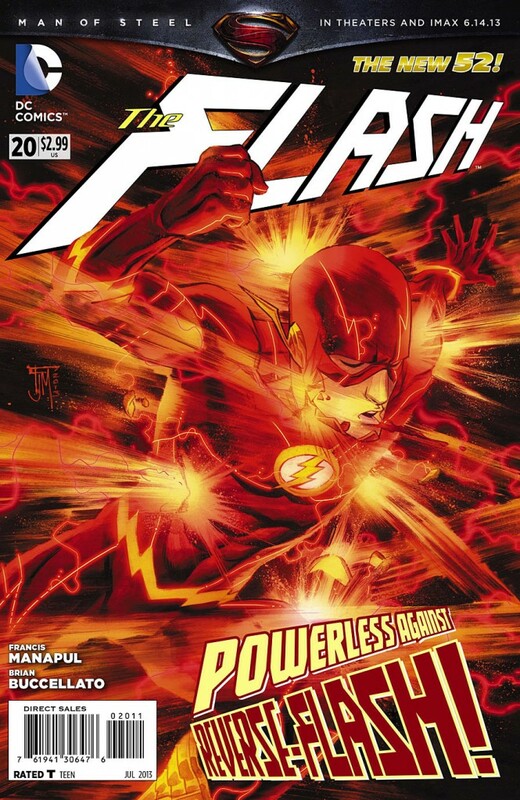 The Flash #20 - "I suppose it's understandable. We all do what we have to do. Move on." Two of the four people that the Flash saved from entrapment in the Speed Force dimension a few issues back are now dead! Albert seems to have "accidentally fallen off his roof" and Marissa was mysteriously murdered while incarcerated for her criminal tendencies last issue. Gomez and Iris West are both still breathing for now, but Gomez is avoiding the Flash and everyone else, as paranoia sets in...although I guess if they're really out to get you, it's not exactly paranoia after all, is it? Of course they're all being hunted by this mysterious new Reverse Flash...although we know very little about him or what he wants...and Barry hasn't even discovered that he exists yet! 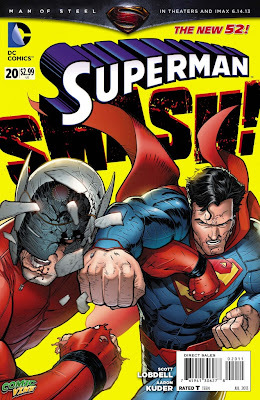 Superman #20 - "Never been hit that hard...in my immortal life!" Superman's got to put a beat down on so-called "New God" Orion as this month's issue opens! 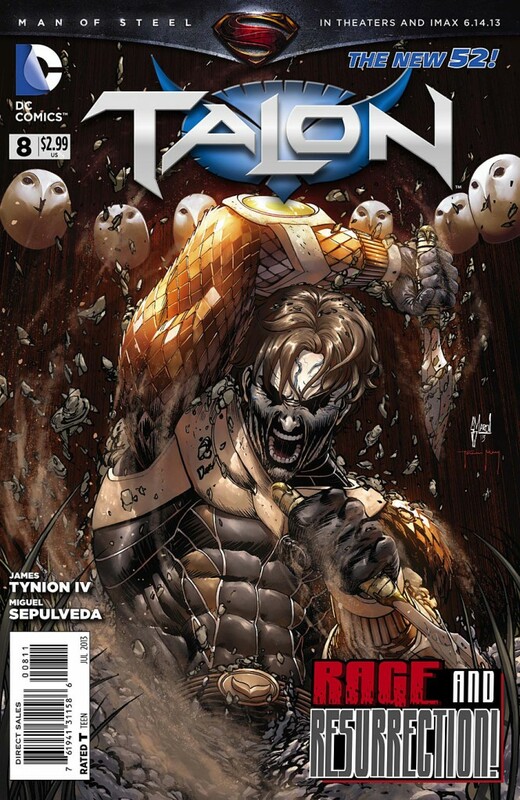 Orion has been sent to Earth to kill the Man of Steel in order to "save the universe" somehow. It all has to do with crazy powerful telepath Hector Hammond, who's astral form has apparently been hiding in Superman's subconscious for the last few issues. At least it explains all of the recent shenanigans that both Clark and the people around him have been pulling lately! So yeah, Last Son of Krypton versus New God for the fate of Earth, WITH special guest Wonder Woman joining the fray! She's been loosely allied with Orion in her own title and of course is Superman's girlfriend, too! Conflict of interests? 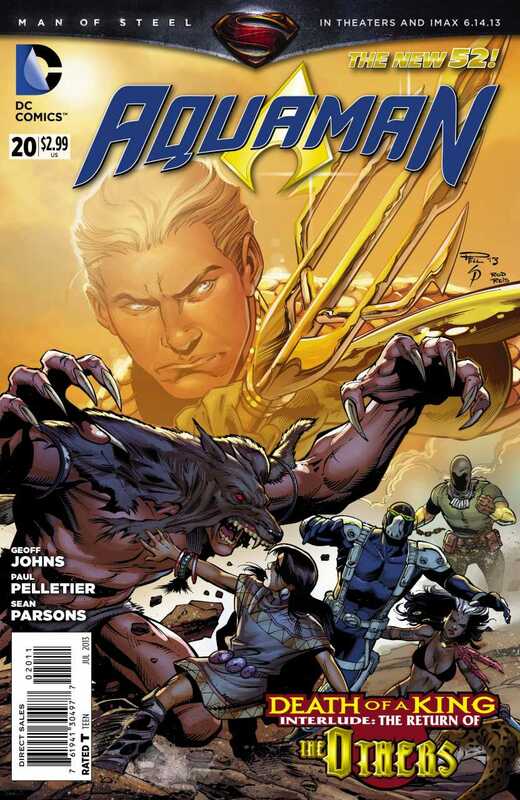 Fill in artist Aaron Kuder takes over penciling for this issue at least. Although regular Superman artist Ken Rocafort may possibly be my favourite comic book artist right at the moment, Mr. Kuder does a great job! I really liked his work and hope to see more from him soon! Justice League #20 - "It's the little things that say the most about a someone. It's the little things that matter." 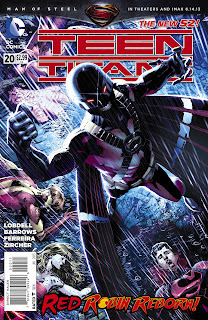 This month's Justice League focuses a lot on the new recruits, Element Woman, The Atom and Firestorm! They were supposed to meet with the rest of the League on the Watchtower for some sort of induction ceremony, but instead they're greeted by angry, 3-eyed purple demon Despero! He wants to kill and eat Superman or something...and has the Kryptonite ring stolen from the Batcave last issue to make that a possibility! Oh yeah, there's more Shazam as well! This month...the origin of Black Adam!!! Cool! Batman Incorporated #11 - "That is it! I'm going to beat you to death with this kid's skull!" If you were hoping to see how Batman would retaliate against Leviathan and his former love, Talia Al Ghul after his crazy preparations last issue, well...you're going to have to wait a little longer! 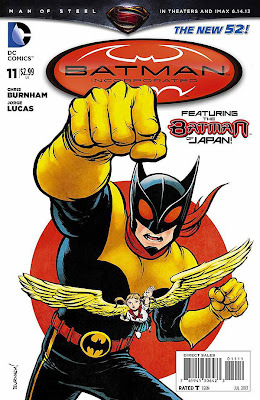 Instead this month we get an interlude...a one-shot story about another Batman, Inc member, the Batman of Japan and his tiny winged sidekick Canary! And that's it for my top 5! Very tough choices but even with the fill-ins these were the 5 books I most enjoyed this week. 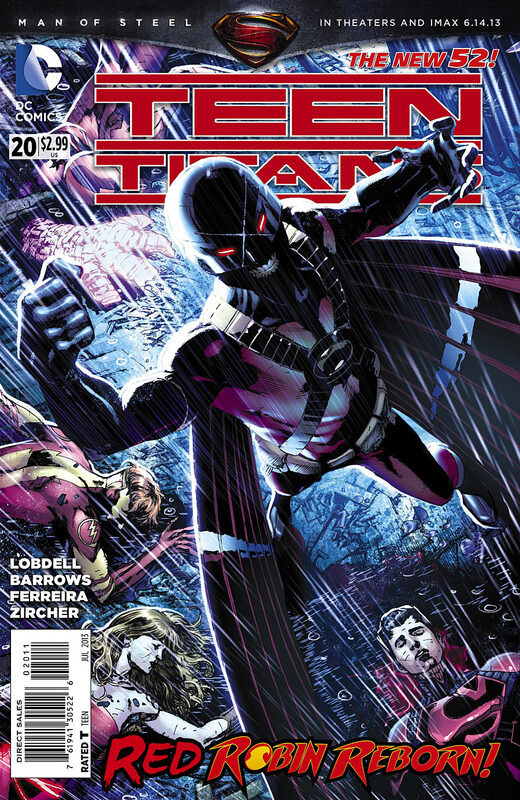 Still, I have to give honorable mentions to Talon, Aquaman and Teen Titans. 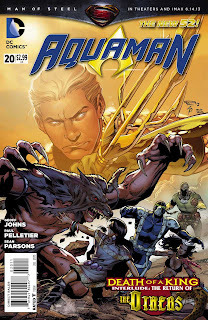 Talon's life is forever altered this month, Aquaman features guest writer John Ostrander getting to add a new member to Arthur's B-team The Others, and Teen Titans just has a lot more Raven! All things I liked a lot! Annnndddd...that's it for me this week! 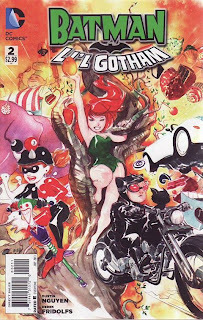 Tomorrow's another New Comic Book Day...since it's the 5th one in May, we are getting some Annuals released...Red Hood and the Outlaws, Catwoman and Earth 2 to name a few! Don't forget to visit your LCS! NHL fans might enjoy my retrospective look at the Toronto Maple Leafs in the latest Stryder's Dementia! Didn't know I was a hockey fan, didja? Check it out! Ok that's it for true! Have a great week everyone! Peace!